Ever since I was a young girl, I’ve loved writing. I always thought I’d be an author —that still may be in the cards— but as I got older my available time to write seemed to dwindle. I’d still collect notebooks. I seem to have an affinity for the Erin Condren Hardbound Notebooks. I have them in every single color. Despite having all of these gorgeous notebooks, I still couldn’t bring myself to write anything. I tried talking myself into believing that it was only because they were too pretty to write in, but I knew that was a lie. 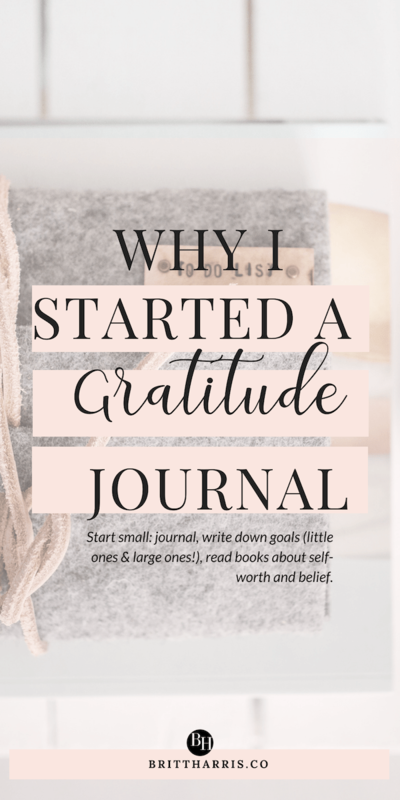 I listened to podcast after podcast, read book after book, read blog after blog, well you get it, about how life-changing starting a gratitude journal could be, yet every single time I froze up. After having the mental battle of a lifetime I finally decided to commit to starting a gratitude journal. I started small, with challenging myself to commit to journaling for a week, then it increased to two weeks, then a month and it actually stuck. I think I’m getting a little ahead of myself a bit here. Full disclosure: this wasn’t an easy process, wasn’t an easy decision, but it was one I had to make for my mental health. I’d managed to allow myself to begin to live in misery. I was always complaining. I was always negative. I was always sad. I had just become so pessimistic. I couldn’t find the good in anything. I didn’t recognize myself. I remember praying and crying in the shower. I wouldn’t allow anyone to know how broken I felt or even see those tears roll down my face. I was the support system, the cheerleader, the counselor, I had it all together, there was no way I was breaking down, but I was. I remember asking God to make everything better, make me better. I didn’t hear anything that day or the next day, but I continued to pray and cray and just sit with that I was feeling. I got still. I didn’t start anything new. I didn’t try to suppress my feelings anymore. I just cried and prayed until I felt better. One day I was listening to The Goal Digger Podcast: How Your Limited Mindset is Limiting Your Life, in this particular podcast Jenna was interviewing Lori Harder. Now if you don’t know who Lori Harder is, she’s an expert in transformational work and self-love. She’s also the author of an amazing book, A Tribe Called Bliss. Through her book and her work, she helps women connect with their soul, transform their bodies, empower their minds and help them fall in love with themselves all over again. And guess what was the first step Lori said to take to change your mindset? I heard God loud and clear. It was time for me to start writing again, but this time it was purposeful. This time instead of writing stories, I was starting a gratitude journal. A journal filled with victories, thanks, positivity, and love. I challenged myself to actually follow through. I picked up one of my notebooks and I began to write. It was small at first, but I slowly, actively began training myself to focus on the good — the fact that I’m alive, I get to raise 4 beautiful humans, I get to experience love — slowly I started to transform my thoughts. I’m not going to lie this was NOT an easy process. I saw it as just another chore. Another thing I needed to remember to do on top of all of the things I already had to do every day. But after getting over that roadblock, I saw positivity starting to take back control of my mind. Of course, life happens and sometimes I get down, but I immediately turn those negatives into positives. The miracle of gratitude! I know journaling may seem old school or corny or cheesy. I used to think the same things, but now it’s the first thing I encourage people to do. Write it down. Get it out. Relieve your mind. Relieve your soul. There’s something undeniably therapeutic about taking time to be thoughtfully grateful, thankful for everything, even the small things. Start small, even it’s just taking 5 minutes to jot down a list on the back of a napkin. Starting a gratitude journal can boost your happiness, improve your self-esteem, boost your productivity and reduce stress. Basically, this having a gratitude journal is like having a completely free and legal miracle drug. There are so many different ways to practice gratitude every day. Starting a gratitude journal may not be your thing, but you have options. Whether you’re a yogi, like to meditate or like taking a stroll through nature, don’t be afraid to test things out and find what’s best for you. Living a much more happy and fulfilling life is just a pen stroke, or a slow walk away. What do you happen to be grateful for today, right now in this very moment? Let me know in the comments. I’ve been journaling for a while and I love it. It’s very helpful to me. I’m grateful for your post and that you found journaling beneficial. It’s a reminder that I haven’t written what I’m grateful for in several days and I’m long overdue. Great post. Thank you. 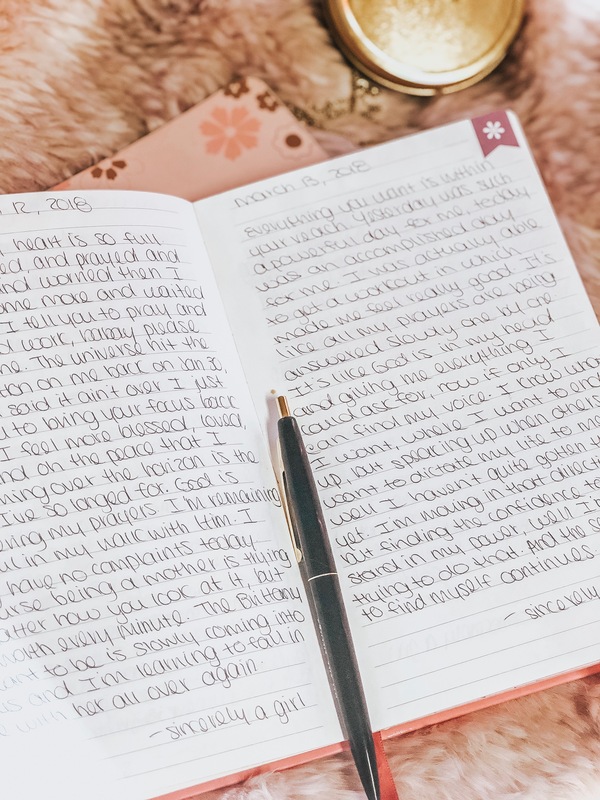 Like you, I’ve long been a writer but I was convinced that journaling just wasn’t “for me.” Then I started journaling as part of Debbie Ford’s 21-Day Consciousness Cleanse and it was truly transformational. There’s something about putting your thoughts in writing that has a bigger impact than simply watching motional videos. This week has been hectic and journaling has fallen to the wayside. I can definitely notice a change in my mindset — more negativity and resentment. You’ve inspired me to get back to journaling and practice more gratitude in my life! I used to journal all the time and would include a three things I was grateful for each time. Then I stopped journaling all together. I miss it and I really need to get back into it. It’s a helpful exercise. That is actually a great idea on your part. This is something I could benefit from.